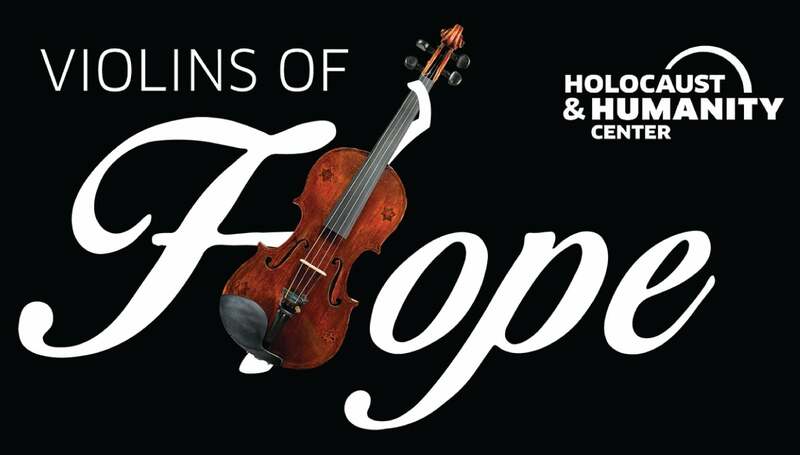 The Holocaust & Humanity Center (HHC) presents a unique concert event tthat will feature eight Holocaust era violins played by Cincinnati's finest musicians. The stories of each violin will be carefully woven into the concert. These violins witnessed the worst of humanity in ghettos and concentration camps, but serve as a symbol of hope and resistance. Join us for a powerful evening of music that will tell the stories of these once silent violins – Violins of Hope. In partnership with: Cincinnati Symphony Orchestra, Cincinnati Chamber Orchestra, Cincinnati Opera, Cincinnati Museum Center, Linton Chamber Music Series, Mayerson JCC, Hebrew Union College – Jewish Institute of Religion, Cincinnati Arts Association, WGUC, National Underground Railroad Freedom Center, Jewish Federation of Cincinnati.